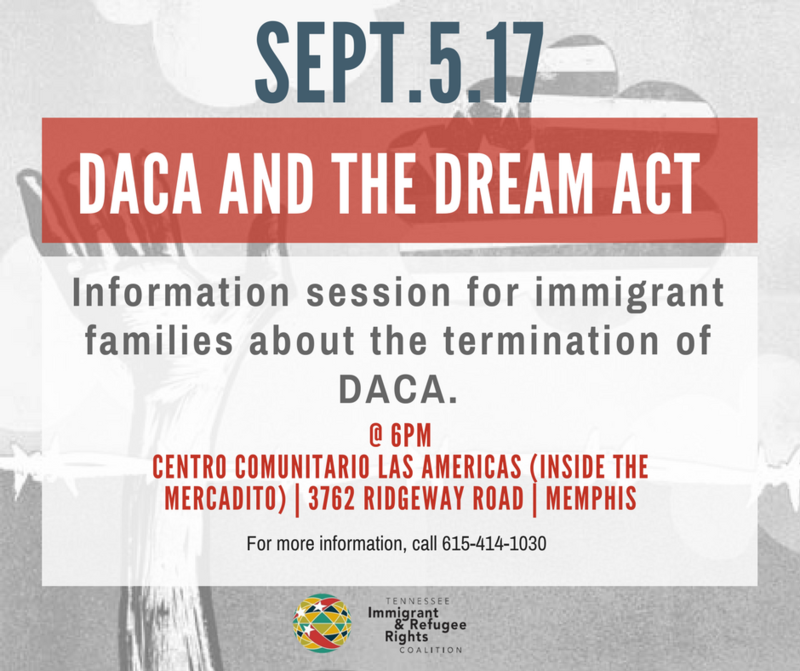 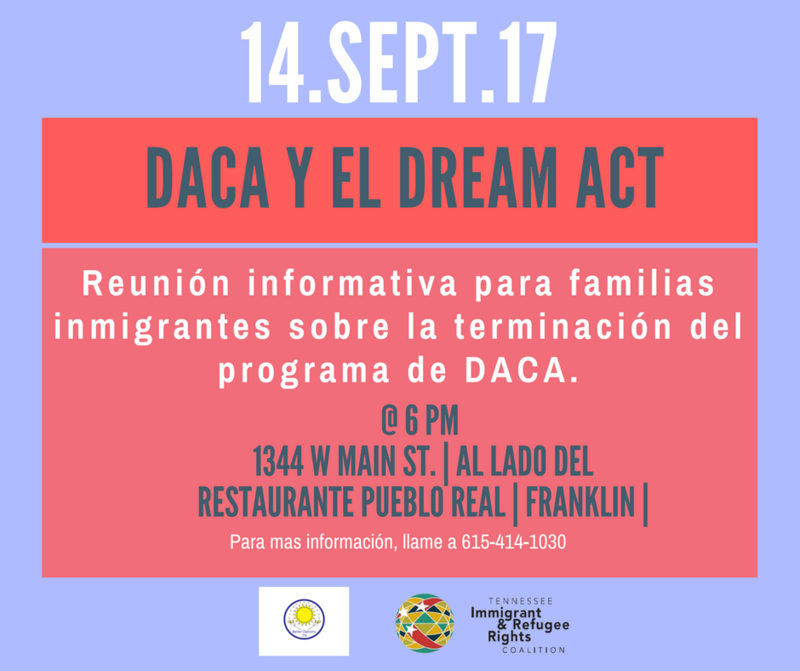 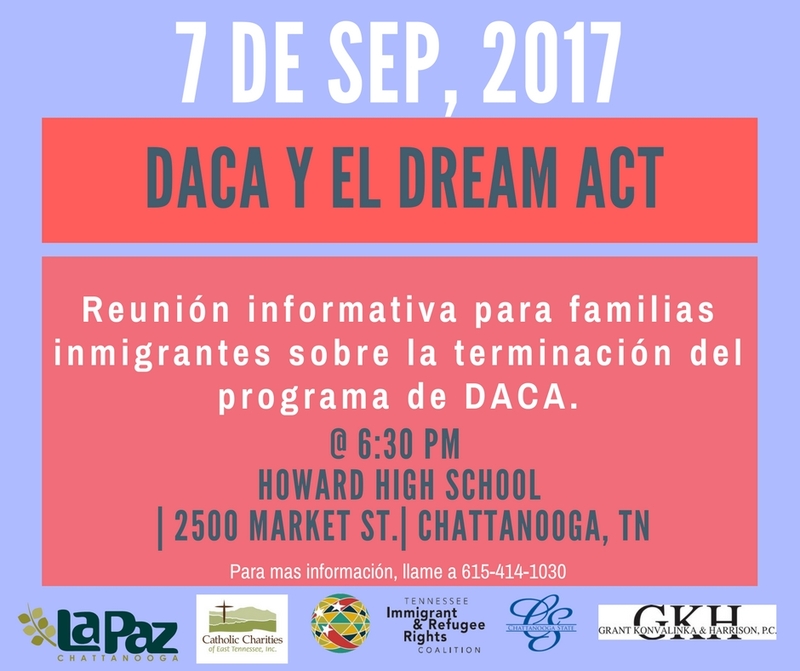 Come join us at one of the info sessions below to learn more about what is happening with DACA, what the program's termination means for you, and how to move forward including generating support for a legislative solution. 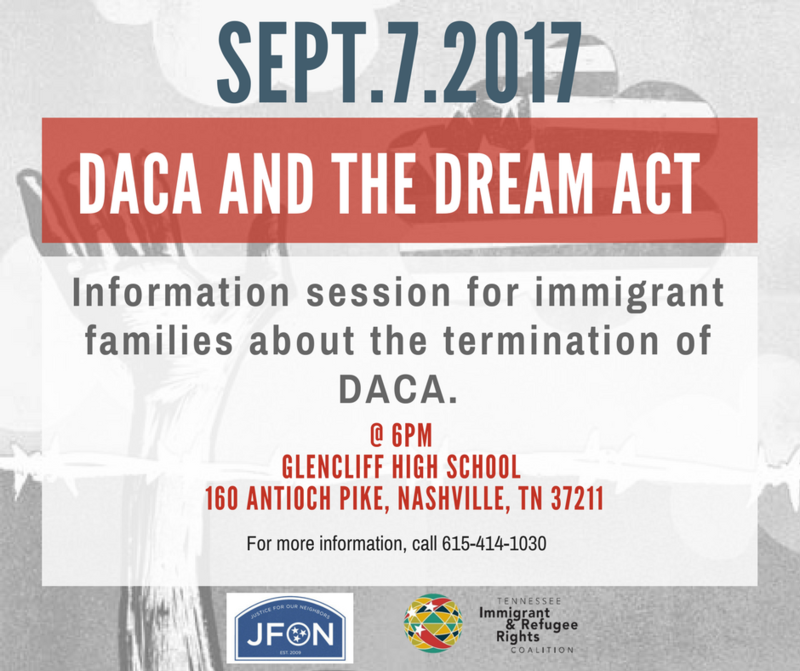 More info sessions to come so check back here for an info session near you. 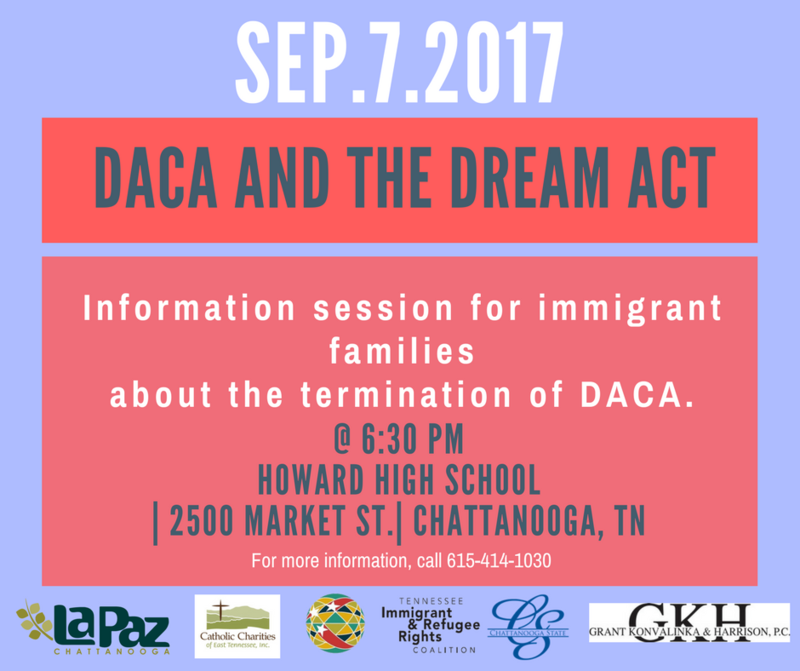 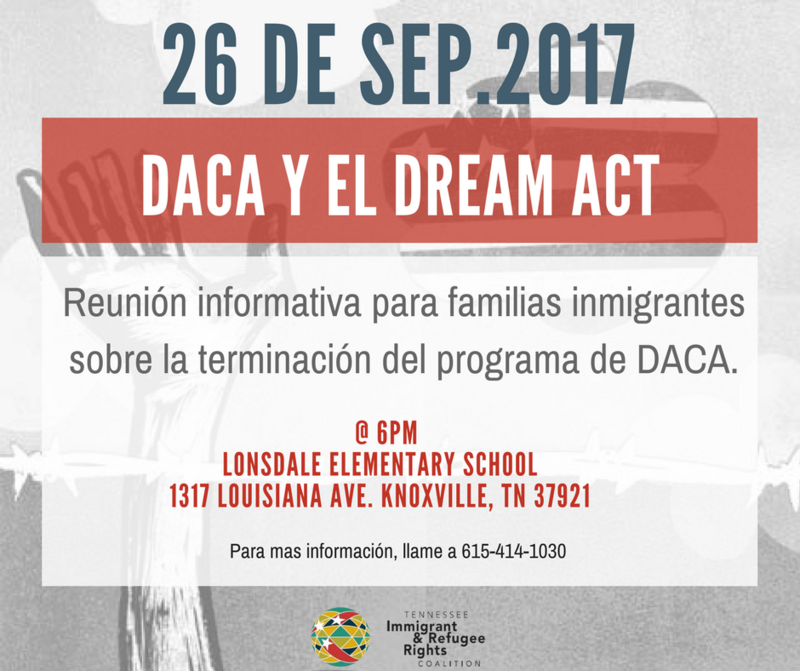 To organize an info-session in your city, please contact: Cesar Bautista at cesar@tnimmigrant.org.